- PWG All-Star Weekend IV, Night 1 (November 17, '06) = PAC fell to AJ Styles. - PWG All-Star Weekend IV, Night 2 (November 18, '06) = PAC was pinned by El Generico. - PWG Holy Diver Down (February 24, '07) = PAC defeated Kevin Steen. - RoH Fifth Year Festival - Liverpool (March 3, '07) = PAC lost to the FIP Heavyweight Champion, Roderick Strong. - RoH Fifth Year Festival - Finale (March 4, '07) = PAC was beaten by Matt Sydal. - PWG All-Star Weekend V, Night 1 (April 7, '07) = PAC lost to the PWG Heavyweight Champion, El Generico. - PWG All-Star Weekend V, Night 2 (April 8, '07) = PAC was beaten by Kaz Hayashi. 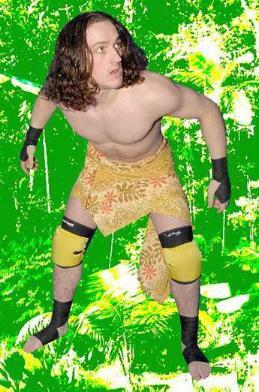 - CHIKARA Rey De Voladores (April 22, '07) = PAC lost a "Rey de Voladores Four Way Elimination" Match to Chuck Taylor. Retail Dragon and Ricochet were the other participants. - PWG Dynamite Duumvirate Tag-Team Title Tournament, Night 1 (May 19, '07) = PAC & Roderick Strong took down Davey Richards & Super Dragon. - PWG Dynamite Duumvirate Tag-Team Title Tournament, Night 2 (May 20, '07) = PAC & Roderick Strong won over Naruki Doi & Masato Yoshino and The Briscoes to become the PWG World Tag-Team Champions. - PWG Roger Dorn Night (June 10, '07) = PAC & Roderick Strong retained the PWG Tag-Team Titles, defeating The Havana Pitbulls. - PWG Giant-Sized Annual #4 (July 29, '07) = PAC & Roderick Strong lost the PWG Tag-Team Titles to Kevin Steen & El Generico. - CHIKARA Here Comes The International Invaders: First Stage - Attack Of The Phantom Shift (August 17, '07) = PAC fell to Ricochet. - CHIKARA Here Comes The International Invaders: Second Stage - Revenge Of The Clone Menace (August 18, '07) = PAC was beaten by Claudio Castagnoli. - RoH Caged Rage (August 24, '07) = PAC fell to Bryan Danielson. - RoH Manhattan Mayhem II (August 25, '07) = PAC lost to Davey Richards. - PWG Battle of Los Angeles '07, Night 1 (August 31) = PAC won a "First Round" tournament match over Jack Evans. - PWG Battle of Los Angeles '07, Night 3 (September 2) = PAC took down Claudio Castagnoli, then lost in the semi-finals to the eventual tournament winner, CIMA. - PWG European Vacation II: France (October 26, '07) = PAC defeated Joey Ryan. - PWG European Vacation II: England (October 27, '07) = PAC fell to the Human Tornado. - PWG European Vacation II: Germany (October 28, '07) = PAC & Kevin Steen lost to the PWG Tag-Team Champions, Davey Richards & Super Dragon. - PWG All-Star Weekend 7, Night 1 (August 30, '08) = PAC & The Young Bucks won a "Dragon Gate Rules" Match over Kevin Steen, El Generico, & Susumu Yokosuka. - PWG All-Star Weekend 7, Night 2 (August 31, '08) = PAC lost to the PWG Heavyweight Champion, Chris Hero. - CHIKARA Tag World Grand Prix '08, Night One (November 8) = PAC & Martin Stone beat F.I.S.T. (Chuck Taylor & Icarus) in the first round of the CHIKARA Tag World Grand Prix Tournament. - CHIKARA Tag World Grand Prix '08, Night Two (November 9) = PAC & Martin Stone defeated Revolution Purple (Lazio Fe & Adam Polak), before losing the "Three Way Finals" of the CHIKARA Tag World Grand Prix Tournament to The Colony (Fire Ant & Soldier Ant). The Osirian Portal were the other participants. - PWG Eight (July 23, '11) = PAC fell to Kevin Steen. - PWG Kurt Russellreunion 3 (January 29, '12) = PAC, Masato Yoshino, & El Generico won the "Never-In-Your-Wildest-Dreams II" Match over Akira Tozawa & Appetite For Destruction.